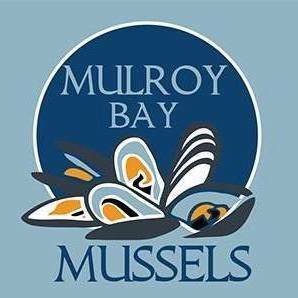 Mulroy Bay Mussels is a family business that have been growing mussels in Mulroy Bay for over 30 years and are proud to have their sons ensuring the next generation carries on this passion. The Wilhare family have the privilege of living on the shores of Mulroy Bay nestled along the rugged coastline of Donegal. The sheltered waters of Mulroy Bay provide the ideal conditions to grow mussels on ropes suspended in the water and nature provides the rest. The wild Atlantic ocean provides all the nutrients to allow the mussels to grow and they are harvested when the meat content is at its prime. Mussels are rich in many important nutrients and they ensure that every Mulroy Bay Mussel is a unique tasting experience. Mulroy Bay Mussels are not only sold in Donegal and throughout the west coast of Ireland but are also sold in Iceland, Netheralands and Germany. Product Description: Organic Rope Grown Mussels harvested in Mulroy Bay, Co. Donegal. Where products are available? Available in a number of restaurants and hotels across Donegal and the West Coast of Ireland.